Oh my stars..this is a stunning home from top to bottom. The lot is the best in Mays Quarter. Add to that the owners have done everything right. So many aftermarket conveniences added. 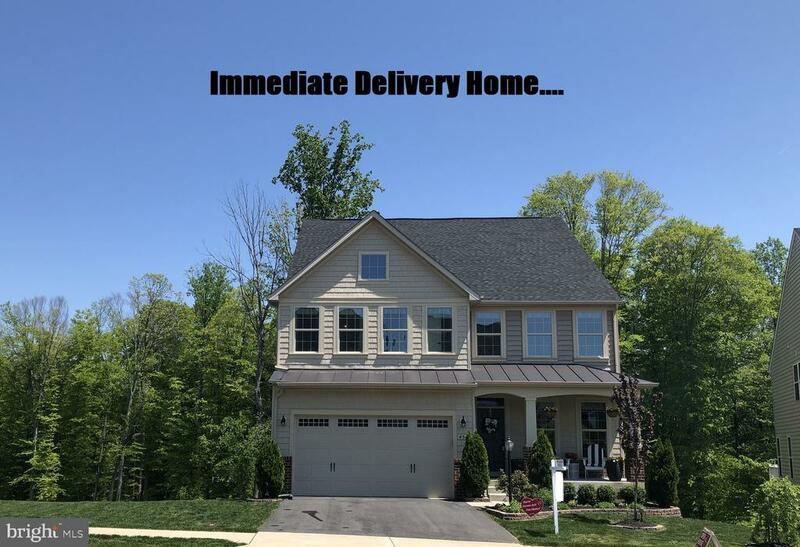 Custom closets, organizer racks in garage, high end lighting, custom interior paint job, EP Henry Paver Patio with knee walk, beautifully landscaped, a totally custom pantry that will make any cook swoon! From the moment you walk into this home you will realize this is not your average home, this looks better than a model home! The home features 9 ft ceilings one two levels and 8 ft ceilings on the other. The views in the main living area are gorgeous, and the privacy even better. Four bedrooms upstairs with walk-in laundry room, all bedrooms have walk-in closets, four have custom organizers. There is a very unique study nook on the upper landing. The owners suite has tray ceiling, views of the woods, and a stunning luxury bath and dual walk-in closets. The lower level of the home features a walkout basement with rec room, media room, surround sound, recessed lighting, bar with dishwasher and wine fridge, 5th bedroom and full bath as well as large storage, utility room. Best of all this home is an Energy Smart home, with fresh air ventilation and Ryan stopped building those in Mays Quarter. Dont forget to check out the garage. Ceiling racks, took organizer bars, and additional organizer is the garage nook. This is way better than most model homes. It is a 10+ home! Shows awesome. Owners can move in 30, 60, 90 days you decide what works best for you.